The Canticle of the Black Madonna recently received a powerful endorsement from Vietnam combat veteran and 20 year career army officer, Bill Ritch. Mr. Ritch was awarded the Silver Star, the nation’s third highest award for bravery in combat. He graduated from United State Military Academy at West Point and returned there to teach for six years. His last tour of duty was the Professor of Military Science at the University of California, Davis. Mr. Ritch also holds an MA in American History, an MA in Spirituality, and an MFA in Dramatic Arts. When I returned from two tours of duty in Vietnam I was inflicted with Post Traumatic Stress Disease, a dis-ease of my heart. Like Adam, the fictional soldier in The Canticle of the Black Madonna, I built a wall around myself, believing that I could not survive facing the memories of combat, especially the death of my soldiers. My wife, like Adam’s wife Mara in The Canticle, felt the full impact of the war and felt despair for the loss of the man she had married. I believe The Canticle of the Black Madonna reveals a path to inner peace through feminine love for all who have experienced trauma in their lives. This path is revealed through the power of music, a power, perhaps the only power, that can reach into the depths of one’s heart, the depths of one’s soul. Here lies the true gift of The Canticle—sharing the healing experience of love through the beauty and power of music. 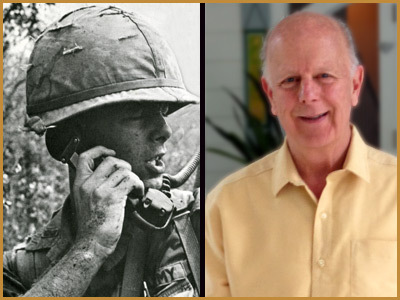 It opened my heart and brought new healing to me, 44 years after I returned from Vietnam. This is a gift that should be shared with the world. Entering the world of Adam and Mara, the Black Madonna embodies the healing power of compassion and love, and enfolds Adam and Mara with love from the center of her heart. To me, Black Madonna is the feminine energy of God or Spirit. Like Adam, I too wonder what God will say to me. Will God ever say to me (as Adam wonders in The Canticle), “Good job, son. Welcome to heaven”? My obligations to my soldiers are not yet complete. I have searched since I returned from combat in 1969, and continue to search, for ways to bring a shift in consciousness in the world to the vision of God’s presence and Love in all life. I believe that such a shift would end war and finally give meaning to my experiences in war, and to the deaths of my soldiers and of all soldiers in all wars. The Canticle of the Black Madonna is clearly a vehicle for bringing about that shift, that awakening.